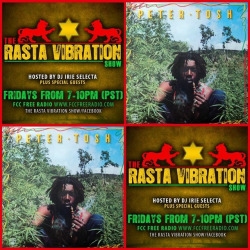 The Rasta Vibration Show will be in replay mode tonight. Please enjoy a replay of our 8th year anniversary show with Dj’s Arrow, Seelo, Nice Up and Dj Kali! We will be back next week live & direct!!! Big Up!! !